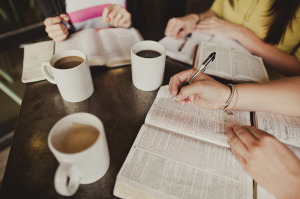 If you are new to CBC we encourage you to sign-up for CBC101, a 3-week course taught by Pastor Phil Wayman designed to help you learn what we believe, how the church operates, and what church membership looks like at CBC. 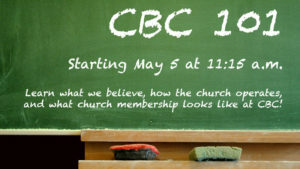 CBC101 starts on Sunday, May 5 at 11:15AM. Sign-up today!